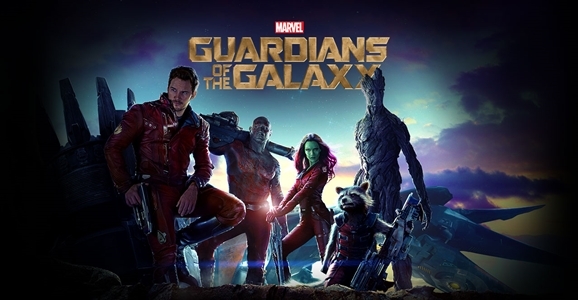 Guardians of the Galaxy has so far earned $313 million worldwide, proving that yes, Marvel can make a monster hit out of comics characters most audience members had never heard of prior to, well, the Guardians of the Galaxy marketing push. More importantly, moviegoers enthusiastically embraced an unapologetic space opera, something that hasn’t happened all that often outside of franchises with the word “Star” in the title. So, if the Guardians of the Galaxy can break box office records for an August opening, what other space-faring comic-book teams deserve their time in the spotlight? Both of comics’ “Big Two” — Marvel and DC — have their own stables of space-faring cosmic characters, but which ones have the most cinematic potential? Hit the link to see our top picks! You ask for it, they listen. The folks over at Screen Junkies heard your cries and are back with two new additions to their popular Honest Trailers series. This time they take aim at the latest piece of the dystopian young adult landscape, Divergent, and one of the least popular superhero movies in recent memory, DC’s Green Lantern. Divergent, or “not The Hunger Games as they call it, is a futuristic tale about a young, doe-eyed heroine who must defeat a sinister, scheming dictator. Yeah, they notice the similarities, too, except there’s no fight to the death, so things are totally, totally different things. There are also jabs at the set up, which is somehow simultaneously over simplified—people are sorted into groups based on a single personality trait—and ridiculously complex. They draw the parallels between Divergent and the laundry list of other popular YA movies, like Harry Potter and Twilight. And especially the creepy romance between Beatrice “Tris” Prior (Shailene Woodley) and her much, much older instructor, Four (Theo James). But it’s okay because he’s so dreamy. If you’ve been anywhere near one of the series of tubes that make up the Internet recently, you’re probably aware that Warner Bros. and DC have been trying to chase Marvel’s coattails and establish their own interlinked cinematic universe. Man of Steel was the first step, and the next will be the movie alternately referred to as Man of Steel 2 or Superman vs. Batman. In addition to Ben Affleck as Batman, that movie is set to introduce Gal Gadot as Wonder Woman, and possibly characters like the Flash and Green Lantern, as a prelude to a Justice League movie in the vein of Marvel’s massive Avengers team up. 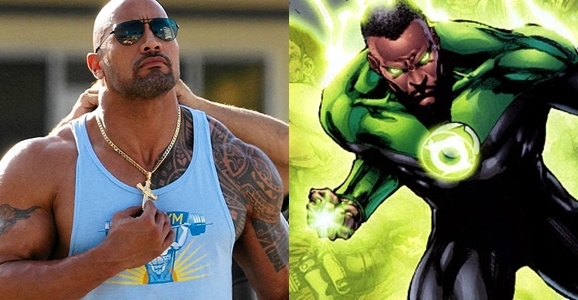 Last month rumors broke that Dwayne “The Rock” Johnson might be slipping on a power ring as Green Lantern — specifically the John Stewart incarnation. Now IGN points to an Instagram post from Johnson that may add fuel to the (green) flame. Marvel has pulled off something many would have dismissed as impossible not that long ago — they’ve created a cohesive cinematic universe that weaves throughout individual films and brings the heroes together for the big-screen Avengers team-ups. With Marvel’s grand experiment raking in billions at the box office, it’s no surprise that their Distinguished Competition — DC Comics — is trying to play catch-up, beginning with last summer’s Man of Steel, and continuing in the upcoming sequel to that film. Now a rumor is circulating that actor/wrestler Dwayne “The Rock” Johnson might be joining the DC cinematic universe, and that hopefully he’ll look good in green. The rumor mill began churning when Johnson tweeted the following last week. 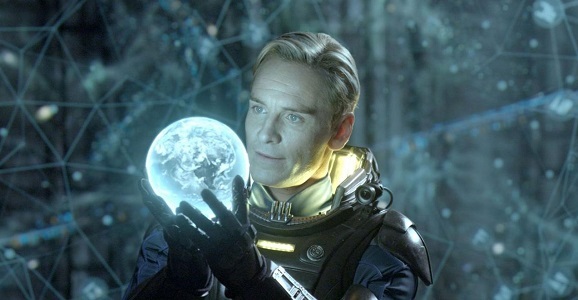 Last year, Ridley Scott returned to the science fiction genre with the Alien prequel Prometheus. Now it seems like Ridley Scott is going back to another one of his classic science fiction films with the new Blade Runner sequel. According to The Wrap, Ridley Scott is in negotiations with screenwriter Michael Green to oversee the Blade Runner sequel’s screenplay. While it’s unclear if the new Blade Runner will be a direct sequel to the beloved 1982 original or just simply take place in the same universe, it is believed that the new film would take place many years after the original Blade Runner film. Ridley Scott is actively courting actor Harrison Ford to reprise his role as Los Angeles Police Department bounty hunter Rick Deckard. Maybe we’ll find out if Deckard is a human or replicant in the new film.